Yet the European Union negotiators’ response to this change of heart has been less than rapturous – and, in the matter of the Galileo satellite project, frankly disobliging. They seem unmoved by the growing likelihood that Brexit will do major damage to cross-Channel defence research and industry cooperation, and thus to the EU’s own aspiration to build Europe’s strength in these areas. That aspiration is part of the wider ambition that Europe should increasingly strive to stand on its own feet when it comes to defence and security – ‘strategic autonomy’, in the jargon. So why the EU coolness towards the British overtures? Can the British be trusted? Even dispassionate observers, while understanding European Commission reluctance to think outside the box on other matters unless and until the Brits come to terms with how their own ‘red lines’ have boxed them in on economic issues, see the European Commission’s flat insistence that “third country means third country” as blinkered. The British proposal of an internal security treaty certainly deserves a better hearing than it has so far received. What the British too readily overlook, however, is that there is more than bureaucratic resistance at work in the EU attitude to the future defence relationship. There is also the matter of trust. 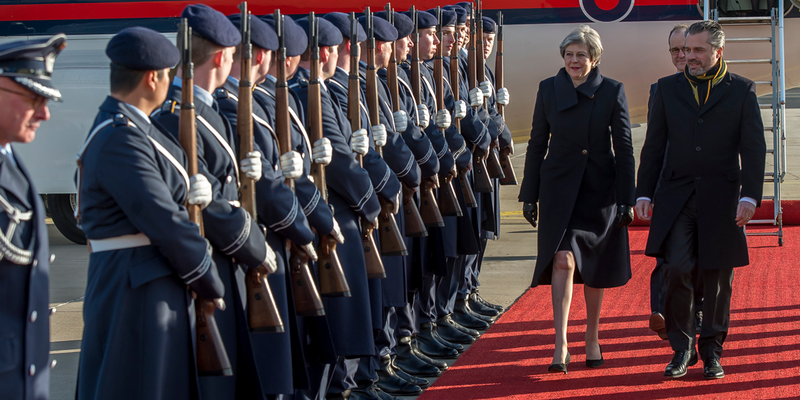 Britain has, after all, spent much of the past decade or more systematically obstructing EU defence integration, and casting itself as the protector of NATO – both because that has played well domestically, and in the hope of currying favour in Washington. Blocking an EU operational headquarters, or a European Defence Agency budget increase, may have been more symbolic than truly important – but it is nonetheless remembered in Brussels, and in other capitals such as Berlin. Nor is Michel Barnier, a commissioner during Galileo’s difficult early days, likely to have forgotten the British efforts, at US behest, to prevent the emergence of a rival to GPS. So a degree of scepticism at British protestations of a change of heart is inevitable – especially given the fragility of Theresa May’s grip on power, and the identity of some of those who could succeed her. This fundamental question – can the British truly be trusted? – has become the more salient as the need for European “strategic autonomy” has become ever more obvious. Even before the Trump election, the concept was prominent in the 2016 European Global Strategy, where “taking greater responsibility for our own security” is framed as what the times require, EU citizens expect, and a healthy transatlantic partnership demands. In 2018, the imperative for Europeans to reduce their security dependence on the US becomes more pressing by the day, as Donald Trump gets into his international stride – embracing tyrants, insulting and bullying allies, and trashing any piece of multilateral furniture he happens upon. No wonder Europeans view the upcoming July NATO summit with such trepidation. Of course, most Europeans would really rather not dwell on these uncomfortable developments. It was so much easier, and so much cheaper, to hang on to US coattails, paying for American protection with strategic obedience. And it was so much more possible to trust other European partners, especially the ones who had been mortal foes in the not-so-distant past, if Uncle Sam presided and kept everyone in line. Even if old antagonisms between Europeans have faded, rivalries have not – how much less irksome to defer to leadership from the US than from any peer! US hegemony has been a sweet servitude, made all the more palatable by the conditioned assumption that that Europe would be hopelessly vulnerable without American military protection. Today, that assumption is, of course, true. Politically, solidarity among EU member states is in short supply. Militarily, inefficiency and duplication in defence spending have delivered enfeebled capabilities, as recently reemphasised by reports of the parlous condition of much of Germany’s armed forces. And the US nuclear guarantee remains the foundation stone of Europe’s defence against the only major military threat it faces, that of Russia. None of this, however, is immutable. Indeed, European dependence on American protection is absurd, given that the 28 EU member states between them are second only to the US in their defence spending, and last year, astonishingly, spent very nearly four times as much on defence as Russia. Europe is also home to the world’s second most advanced defence industry and research base. There are even two nuclear powers in Europe, whose combined nuclear arsenals could present any potential aggressor with a more than adequate retaliatory threat – provided they were prepared to offer a deterrent umbrella to their neighbours, and their neighbours were prepared to accept it. In sum, strategic autonomy is there for the European taking – unless one believes that Europeans can never make an even a halfway decent fist of pooling their defence efforts and resources, and that there is something uniquely credible about the idea that, in a nuclear crisis, Trump would risk Chicago to protect Berlin. No wonder, then, that the autonomy notion is gaining currency: in Emmanuel Macron’s Sorbonne speech of last November when he referred to “gradual and ineluctable disengagement by the US”; in Angela Merkel’s recent public utterances, repeating her ‘beer tent’ call of last summer for Europeans “to take their fate into their own hands”; and in the new departure of spending money from the EU budget, through a special European Defence Fund (EDF), to foster defence research and industry in Europe. This last development, of the EU subsidising what is awkwardly called the ‘European defence technological and industrial base’ (EDTIB), may well be the next big transatlantic casus belli. For, while Trump will use the NATO summit to demand that the European allies spend more on defence, what this most mercantilist of presidents clearly has in mind is that the extra money should be spent on American hardware. Pity the poor Germans, slated to make a key decision this summer between American and European candidates to replace the Tornado combat aircraft. And it is anyone’s guess what reprisals Trump will threaten if the EU persists in its intention to devote EDF funds solely to companies controlled by EU nationals and based on EU territory. So a new transatlantic conflict is brewing – with the UK at risk of ending up as collateral damage. For the UK is aiming to retain for its defence industries just the sort of privileged access to European projects which the EU is now proposing to deny to the US. A tough ask – but they have a compelling case. For the reality is that UK industry and research institutes have long been fully committed and cooperative participants in the EDTIB. What is more, they can be counted on to remain that way – for that most dependable of reasons: vital self-interest. It is one of the many ironies of Brexit that over the decades of UK membership of the EU, while Europhobes have obsessed over the erosion of British sovereignty, the British have shown themselves entirely pragmatic about European cooperation in the defence industry, that most ‘sovereign’ of spheres. They have been key partners in a series of European combat aircraft projects, and in the last big collaborations launched before the financial crisis hit, the A400M airlifter and the Meteor missile. And they stuck with their decision to buy those Airbus air tankers (unsurprisingly, given that they still make all Airbus wings, at any rate at time of writing …). The British approach to matters of defence ownership has been equally open. Major investments by European defence companies such as Leonardo and Thales have been welcomed. Britain has merged its own assets and capabilities with continental partners to create MBDA, the pan-European, and world-leading, missile house. The UK was even ready to sign off on the proposal for a BAE Systems/Airbus merger in 2012, until German cold feet put paid to that historic opportunity. Most important of all, the British have long led Europe in the scale of their investment in defence R&D, and have had no inhibitions about sharing the technological fruits with European partners (if the commercial terms were right, of course). This has not been through any Euro-idealism. It has been a pragmatic reaction to the established US refusal to share technology, ‘special relationship’ or no. The British know that their only alternative to European cooperation is to end up as ‘tin-bashing’ subcontractors to the US defence and aerospace giants. Like it or not, British defence companies and their continental peers have been condemned to cooperate to remain internationally competitive. And no one expects that situation to change in the years ahead. Thus Britain is a key part of the EDTIB, and can be counted on to remain so, given the chance. That chance will depend on how the rules for participation in projects under the new EDF are written. If the EU is serious about strategic autonomy, it will find a way to accommodate this uniquely capable partner in the new system, whatever happens with Brexit. In doing so, it can expect to have to withstand huge pressure from the other side of the Atlantic. But then, that is rather the point in pursuing strategic autonomy in the first place, is it not? When a British government says “trust us”, the EU must inevitably ask itself why it should. But in matters of defence industrial and technological cooperation, British reliability has been demonstrated over many years. The EU’s own interests and aspirations require it to keep this door open to the repentant prodigal. What is the advantage for the UK in this defense partnership? I find it strange that the author unquestioningly sees defending the EU as in the UK’s interests.I don’t.